Salt Lake's attractions run the gamut from sightseeing tours to museums to indie filmhouses, which means you can stuff your itinerary with all kinds of fun things to do. If you're looking for something genuinely unique to Salt Lake, then stop in and research your family history; one of Salt Lake's many nicknames is "Genealogy Capitol of the World." If you already know all about your great-great-grandmother's illicit love affair, you can take in the city's historic sites and points of interest by grabbing a GREENbike or taking a guided bike tour of downtown Salt Lake. 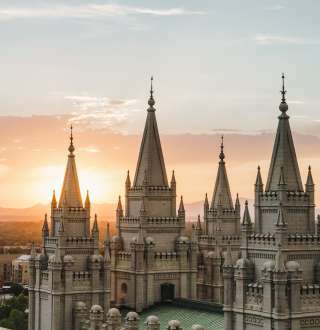 History buffs will definitely want to check out Temple Square (Salt Lake's most popular tourist attraction), while geologists might be more interested in the Great Salt Lake. Salt Lake is super family friendly, with plenty fun for kids, including neighborhood parks, theme parks, and water parks; movie theaters; planetariums; zoos; and aquariums ... plus excellent spas and salons for tired grown-ups. If you're ready to venture off the beaten path, queue up your roadtrip playlist and go on a scenic drive to relive the glory of the Games at Salt Lake's Olympic venues. Or take in the eerie other-worldliness of the Salt Flats on your way to Wendover's casinos. Or visit one of the fifteen national parks and monuments that are within a few hours' drive of the city. Traveling on a shoestring? Don't fret. There are attractions with free admission, too.